WondaGems is the latest puzzle game for iOS, although this one does have a trump card in the form of special items activated by the use of special gems on the game board. These are real game changers and add just the right amount of variety and excitement to the game. The game is described as a ‘cave adventure’, and it certainly is that as you attempt to match up all of the precious rocks. 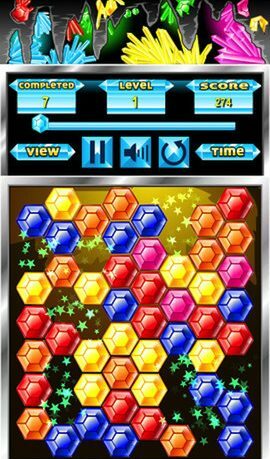 You must line up like-coloured gems, either horizontally or vertically, in order to attempt to clear each level. ✓ Spectacular graphics and design! ✓ Extra challenge through time, special gems! 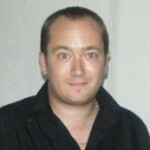 ✓ Selection of different game modes, easy, medium, hard! ✓ Game Center leaderboards and tables! 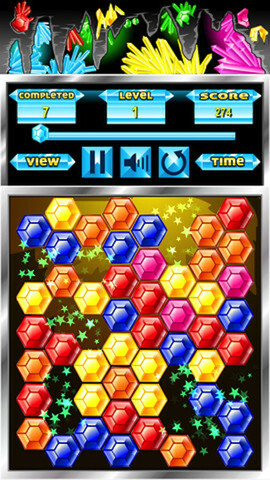 The game is pretty addictive, and the graphics are bright and colourful. The game has full Game Center leaderboards, which really does add to the overall length and replay value of the game. Overall, this is a decent arcade puzzle game, with decent graphics and plenty of content, WondaGems is well worth a look.